In the legendary city of Waterdeep there stands a storied tavern: The Yawning Portal, so named for a gaping pit in the center of the common room. At the bottom of this crumbling well lies a haunted labyrinth--the Dungeon of Halaster Blackstaff, legendary Mad Mage. 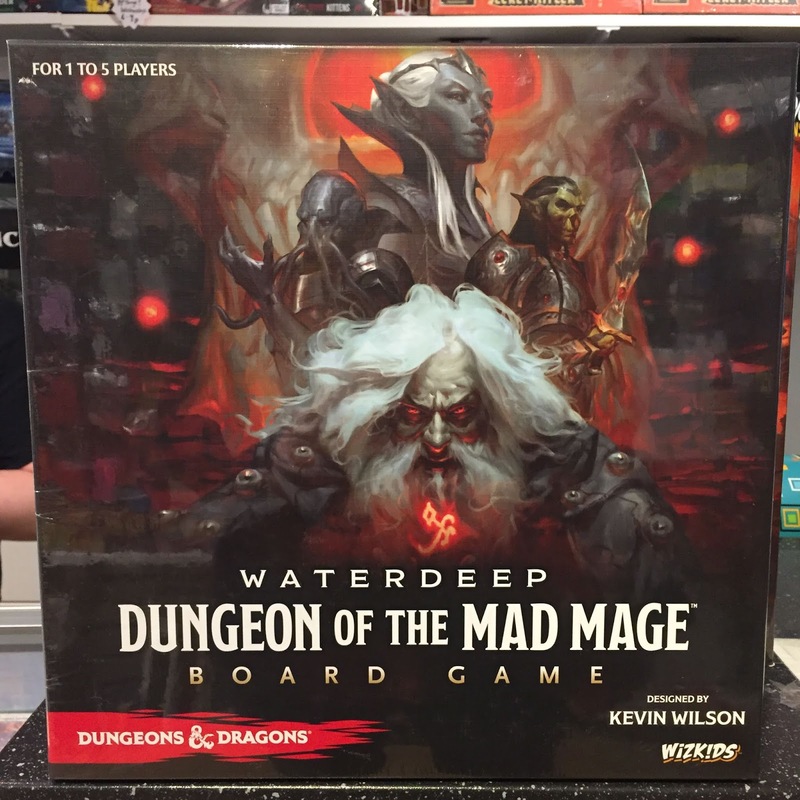 Dungeon of the Mad Mage sets you in the boots of the brave (or foolhardy) adventurers seeking fortune and glory in this black pit. With modular encounters and incredible depth of tactics, Dungeon of the Mad Mage captures the magic of D&D combat within a board-game format. Don't miss it! 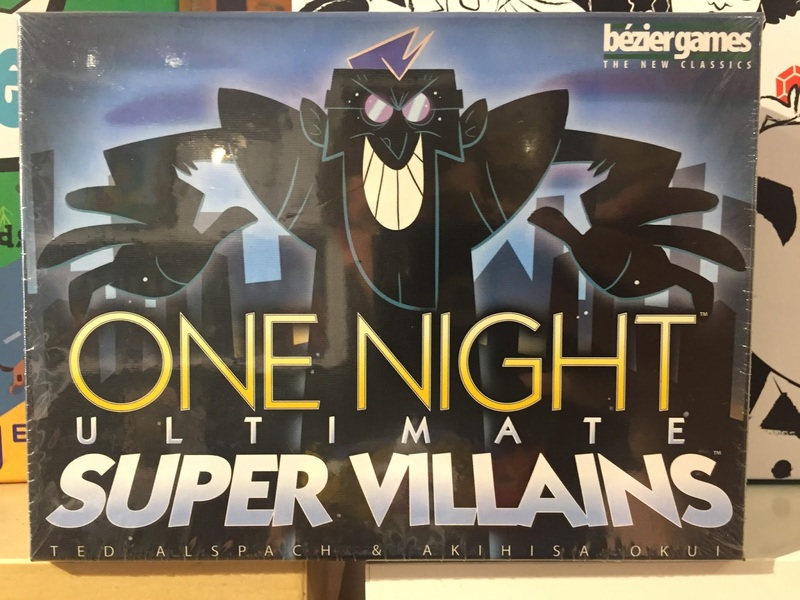 The ever-popular One Night series has returned, with a brand new expansion: Supervillains! Play as courageous Heroes or the dastardly Villains, and ensnare each other in a web of intriguing? Will the Heroes be able to sniff out the villains in disguise? Or will they bamboozle the forces of good into making false accusations? 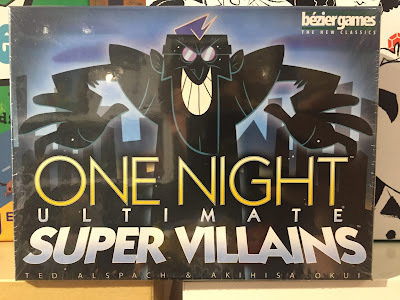 With new roles and powers, this is a hilarious game to add to any collection. Spectres circle and swoop in the haunted city of Arkham. 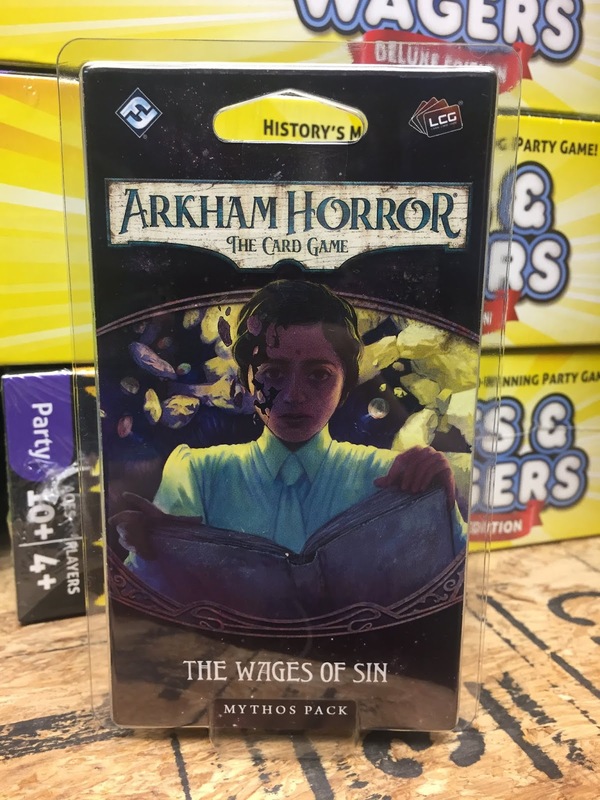 The Wages of Sin is the second pack in The Circle Undone cycle, and dark powers have called a curtain of mist over the city. 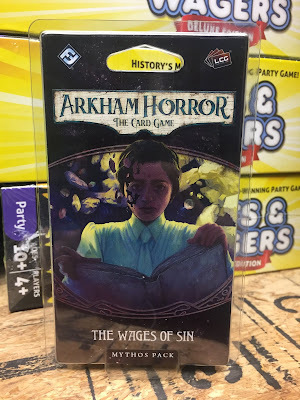 Each location you visit in The Wages of Sin has a chance of being flipped and turning to its Spectral side, bringing with it dangerous and draining encounters. Can you find your way through the fog? 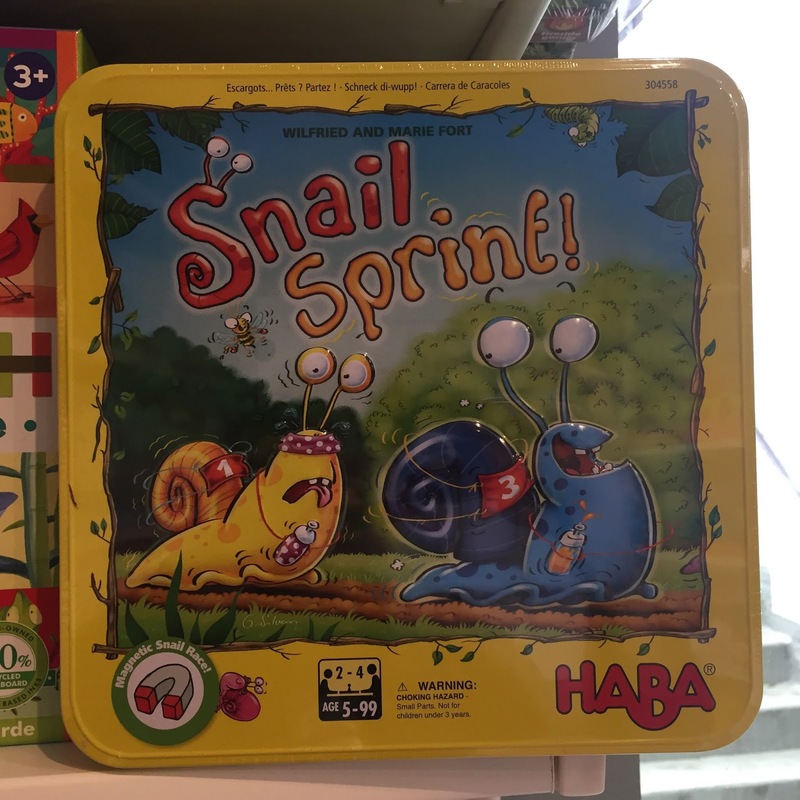 Snail Sprint is a hilarious new Haba game where your slimey squirts race each other! Uniquely, the metal box is a part of the board--the snails are magnetic, and have to climb up the sides and over the top of the box to reach the finish line! Hilarious and innovative, a great game for starting gamers everywhere. 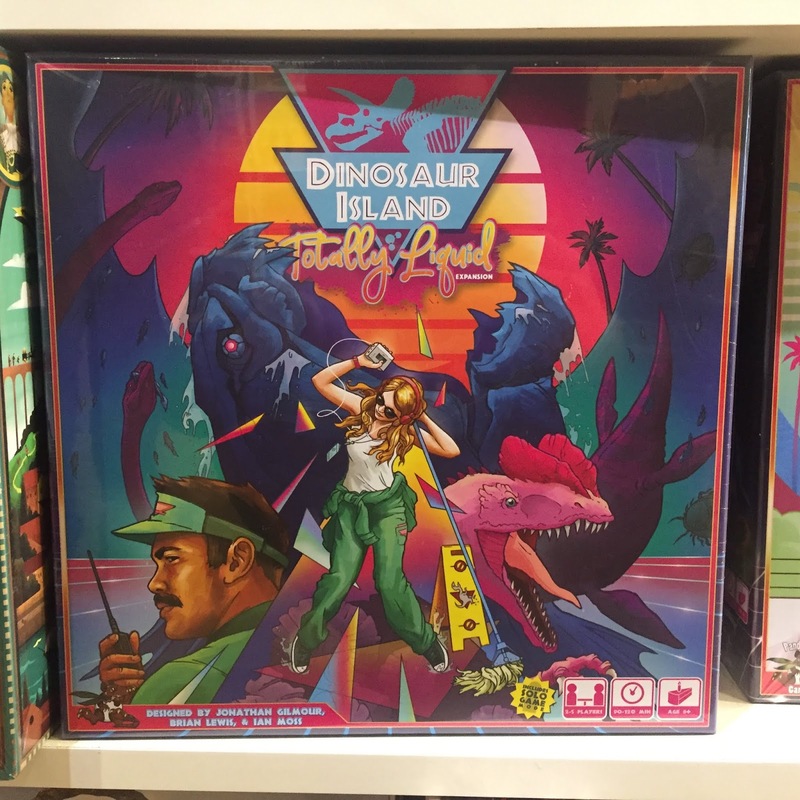 Dinosaur Island goes nautical in its first major expansion, Totally Liquid! This expansion adds a ton: Supplies for a fifth player, executive meeples that grant unique powers, blueprint modules that can guide your park construction for extra points, and board extensions. Most importantly, though, it adds a whole new slew of marine dinosaurs! Take to the prehistoric seas and make a killing in Totally Liquid. A new mini-set of Pokemon has been released, tying into the brand-new blockbuster, Detective Pikachu! 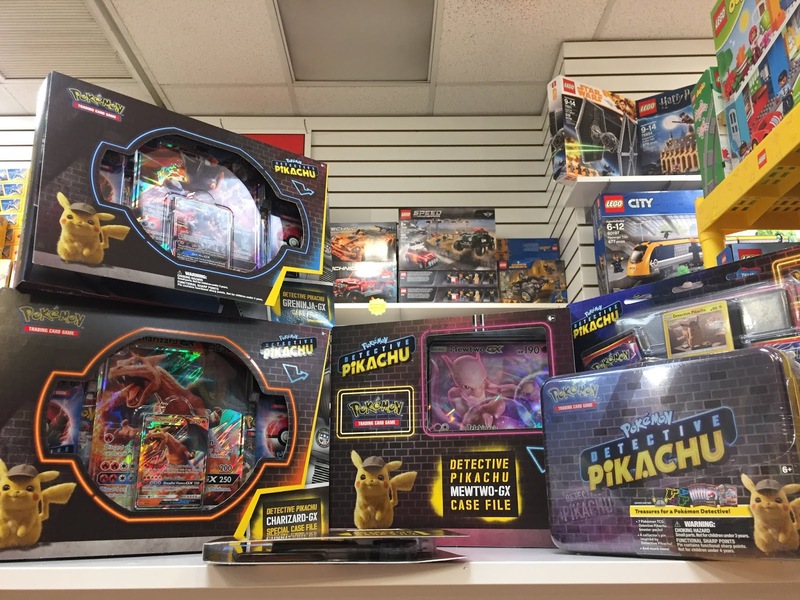 With Case Files, Tins, and GX Boxes, the set adds new GX Pokemon, and a brand-new Pikachu: Detective Pikachu, of course! Dive into the world of Detective Pikachu with this new set! That's all we have for this week. Check back in next week for more What's New at Labyrinth!